Details: Metroline acquired a batch of Vauxhall Zafira crew ferry cars in autumn 2007, although their anonymous and varied liveries make identification tricky. 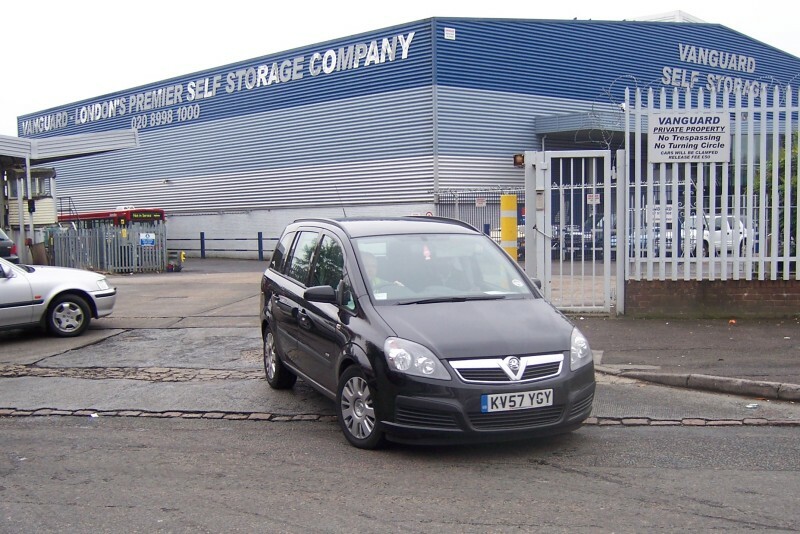 Several were based at Perivale East garage from where they run to locations such as Paddington (for route 205). Leaving home on 26th October 2007 is black KV57YGY. This depot is barely visible from the road, the parking area being beyond the large Vanguard building.